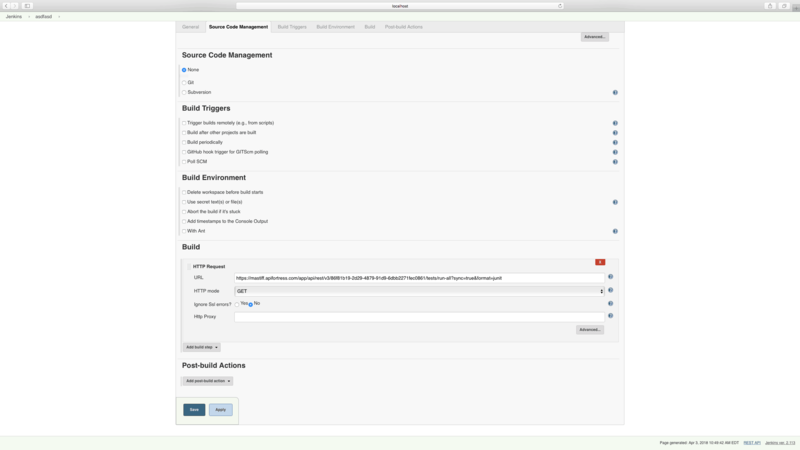 Anyone that has tried to automate API testing with SoapUI/ReadyAPI, Postman or SOAtest will appreciate the simplicity of the API Fortress platform. Incorporating API Fortress with your Jenkins workflow allows the platform to test API endpoints every time there is a build. 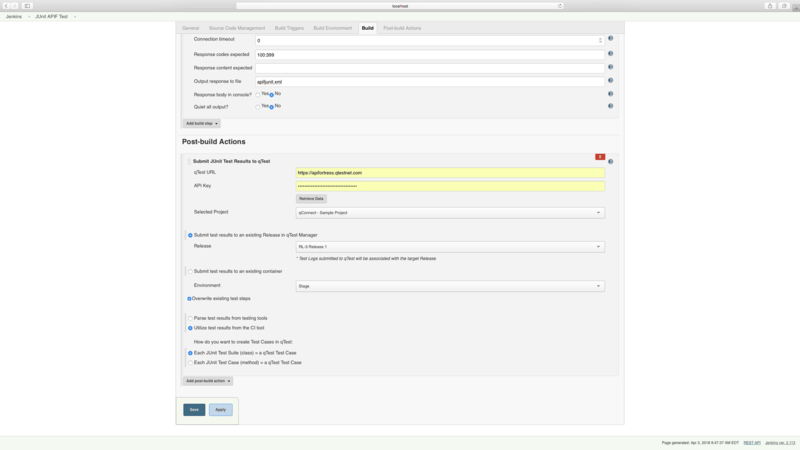 Through a simple integration, results will populate in qTest, alongside all your other testing results and metrics. The API Fortress platform allows enterprises to quickly and easily create and execute powerful API tests. API Fortress integrates with many of today’s most powerful development and testing tools, including Jenkins and QASymphony’s qTest, a suite of tools that help enterprises streamline testing and simplify collaboration across projects, teams and methodologies. In this blog post, we will demonstrate how you can create API tests using API Fortress, execute those tests as part of your continuous integration and delivery (CI/CD process) using Jenkins, and view the results report in qtest. We’ll be talking more about API testing best practices and strategies during our session at QASymphony’s Quality Jam conference next week. Our session, “Testing Automation for the Entire API Lifecycle,” is scheduled for 2:50 p.m. on Tuesday, April 10. Blog readers can get $100 off Quality Jam tickets with the promo code Blog100. 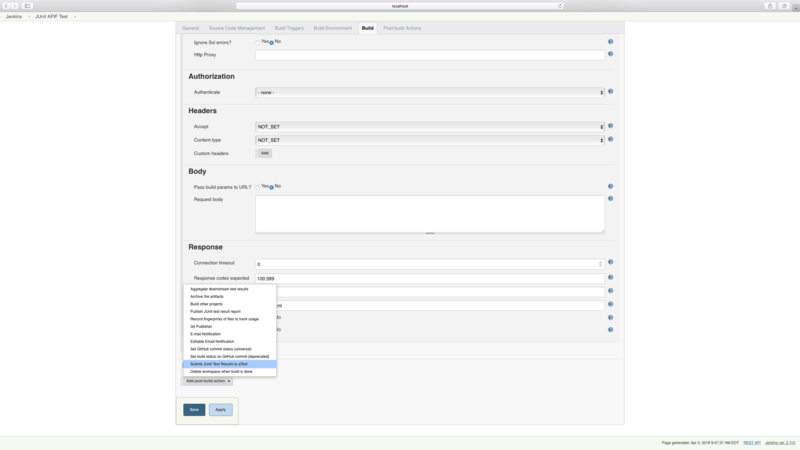 Creating a test with API Fortress is incredibly simple. Take a look at the video below to see how you can create a test in under a minute. We’re going to need both the qTest plugin,and the HTTP Request plugin. To find the plugins, click the “Available” tab in the Plugins menu and use the filter in the top right corner to search for them. Install both. From now on, every time you click “Build Now” with this test, the results will be exported to the qTest Project of your choice automatically. Simple, right? API Fortress, Jenkins, and qTest are all individually powerful tools. When used together the strengths of each platform is magnified. API Fortress allows users to create powerful, readable tests in an extremely short period of time. Passing these results into qTest via Jenkins as a part of a CI/CD strategy allows these results to be viewed in the context of an entire testing suite. 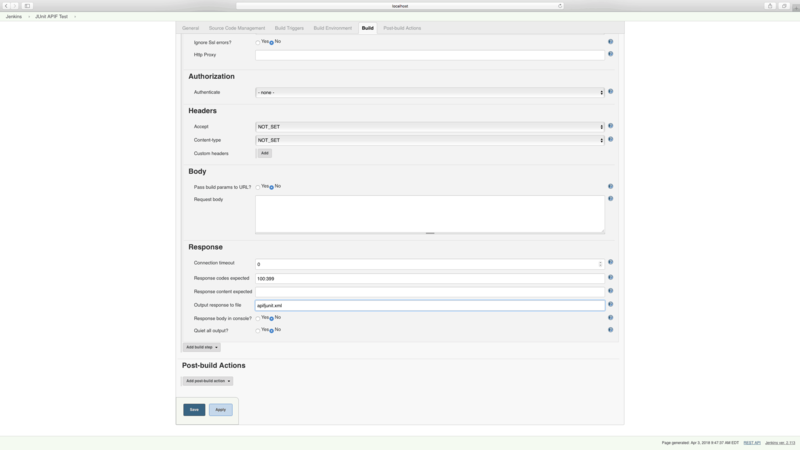 API Fortress was built with usability and integrations in mind, making it the perfect addition to your qTest and Jenkins process.